Please post in this thread if you have any troubles installing/running the workshop version, as I haven't had much chance to test it myself. I read it too in Steam, about this awesome new stuff for the game Star Wars: Empire at war (and forces of corruption), Gold pack. But I can't play it anymore, because I upgrade my pc to Windows 10. Good luck, Phoenix Rising team with this mod! Ps. I play this great game Total War: Warhammer with the faction Empire. End of this month the new game Total War: Warhammer II comes out. From Star Wars to Total War: Warhammer, but still playing the Empire. Logged into steam and saw the update, read it and knew I had to check in here. Woo! Great job on the release! One request, if somebody with more technical expertise than me, could post about the hard-point issues (or any of the other hard coded problems) in the stickied patch thread on the Steam board. Edited by Cloak And Dagger, 01 October 2017 - 01:06 AM. There have already been a number of requests to Petroglyph to deal with hard-coded problems and problems introduced by the Steam update. Right now they have a second patch in testing, but it's not clear if there is the chance for a third one to be released later after that. A bug I've been having with PR since the recent update, both the workshop version and the one here, is that most of the ship and station textures aren't being properly rendered, and are only showing as flat green. Any idea what causes this or how to fix it? It should be working in the workshop version now, make sure it's up-to-date. Petro added a bug in the latest version that meant shaders weren't compiling correctly. It should be fixed when they release the next (and probably final) update, hopefully soon. Yep, its working. Now I just need to copy over my custom factions xmls for the 240 tactical fleet limits. Thanks for the update speed. Nothing has changed aside from a couple of bug fixes. It's possible the last time you played was before 1.2. Is this steam version of the mod just for the Gold Pack? 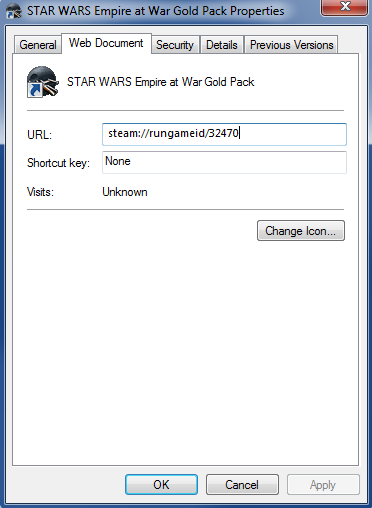 And can you get the Gold Pack on steam with the keys for Empire at War/Forces of Corruption bought separately? I only have the original two games. Edited by Casen, 05 December 2017 - 06:18 AM. Correct, Gold Pack only. Unfortunately EAW is one of the games that you can't just put a CD key in for. You'll have to purchase the game on Steam. I would love to provide stuff on ModDB for disc users but I don't have access. The version on Steam is currently somewhat patched compared to the ModDB version but the patches are pretty minor and mostly Steam-specific. How do I edit the camera controls on the steam version? I can't find TACTICALCAMERAS.xml. I edited the land camera in the original to make it less restrained and claustrophobic (I highly recommended making that official in the mod btw) and I want to do that in the steam version too. The Steam version has its files in Steam\SteamApps\workshop\content\32470\1126761873. Then you use a meg editor http://modtools.petr...tools/MegEditor to open Config.meg and get the files out. Yeah I remember doing this actually...how do I "replace" the file? I insert the new TACTICALCAMERAS.xml and it's not inserted like the others, it shows the full directory. 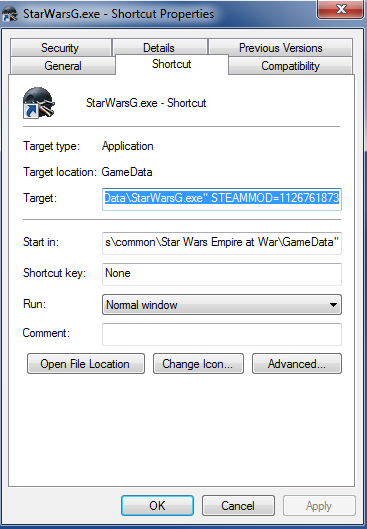 In addition, how do I just launch the mod with a shortcut in the steam version? I have to right click > Forces of Corruption, and then I have to select it from the mods list. Edited by Casen, 20 December 2017 - 12:33 AM. OR if you just drop it in the mod's XML folder and it will override the XML in Config.meg. I think that's what I found when I looked into my original install. I had forgotten how I modified the game. Thanks. Edited by Casen, 20 December 2017 - 04:57 AM. You need to point to StarWarsG in the corruption folder. The one you pointed it at was for the base game.